The artists featured below represent a cross-section of the Laboratory’s veteran members, ensuring the continuity and intensity of HIT Lab investigations through their continued involvement. This evolving ensemble drives the creativity of HIT Lab forward, maintaining our commitment to imaginative new work through both the diversity of their experience and the Laboratory’s dynamic process. Read more about HIT Lab. Emmeli Stjärnfeldt is a Swedish actress and playwright. She graduated with a Bachelor of Dramatic Arts from the Victorian College of the Arts in Melbourne, Australia in 2010 and has since worked in both film and theatre in Sweden and internationally. She recently played the lead role in the Amerian/French series Surrogate, co-produced by Luc Besson. She was engaged as an actress at Angereds Theater in Gothenburg for a few years, and last year she also wrote the play SCHII! for them. Prior to that, she was engaged at various theatres in Sweden and Australia, including Folkteatern, GEST and Four Lark Theatre. She has only recently moved to Copenhagen and is therefore new to the Danish stage. Sara Rahmeh is a Copenhagen-based actor and performer. 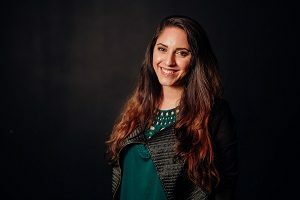 Born and raised in Denmark, with Middle Eastern roots, she recently graduated from the home of American Long Form Improvisation in Denmark – Improv Comedy Copenhagen. She still performs at ICC, where she plays a central role in two regular teams, presenting fully improvised theatre shows every week. Sara also writes and performs Spoken Word Poetry and is a known poet on the Danish literature scene, now branching out to perform at renowned international poetry festivals abroad. Her aim is to bring a dynamic voice to the scene that reaches across borders and cultures. 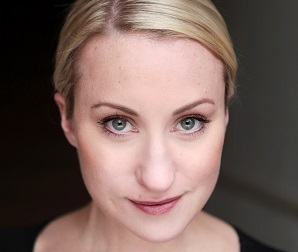 Erica Löfgren is a freelance Swedish actress who works both on stage and screen. Her training covers a wide range of styles, from Lecoq-based physical theatre to Meisner technique from the Neighborhood Playhouse in New York, amongst others. She is based in Stockholm but her intention is to work and co-create worldwide. She also runs her own company Hello Creative, overseeing workshops, writing, directing, working on projects and collaborations that inspire both children and adults to embrace their creativity, imagination, playfulness and empowerment. With humour, awareness and curiosity, she continues to develop her work and craft. Johanne Wang-Holm is a trained actress from East 15 in London. 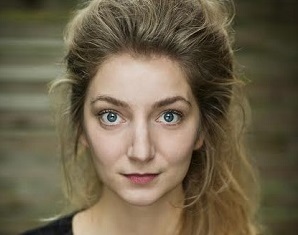 She has performed in several off West-end productions, including quite a lot of new writing. Johanne has also been fortunate enough to work on a number of short films, including a short film for the BBC. She also works as a voiceover artist and has, among other things, been the voice of The World’s 50 Best awards series. 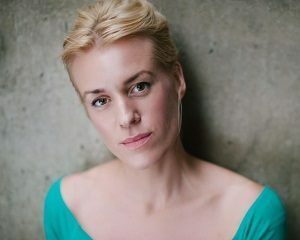 After 10 years in London, she recently returned to Copenhagen, where she was snapped up to play Christine in That Theatre Company’s production of After Miss Julie, for which she received great reviews. Camille de Léobardy is an actress and musician, who teaches theatre in the French School of Copenhagen. 13 years ago, she was merely a marketing specialist in Paris, when a travel opportunity carried her away with her family. Russia and Portugal awakened her passion for the performing arts, but Denmark turned out to be the place for the bigger step: becoming a professional actress. “Sometimes it is worth being shaken to fulfill oneself,” she says. 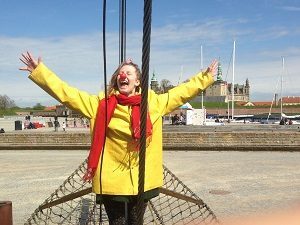 Having graduated from Copenhagen’s international Commedia School of physical theatre, Camille has been creating shows for her students, for herself and together with a stage partner ever since. She especially loves to use storytelling, music and mime in her performances. 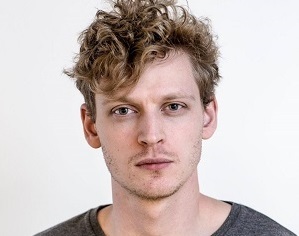 Tove Simonsen is a Swedish actor and theatre-maker, trained foremost at the Rose Bruford College of Theatre & Performance in London. She holds a special interest in voice and body work, as well as ensemble theatre, having further pursued techniques such as Grotowski, Complicité and Lecoq. Since graduation, she has performed at various venues in Stockholm, including fringe productions and performances with well-established Swedish theatre companies. Miriam Boolsen is a Danish playwright. 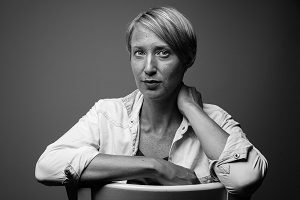 Her scripts are most well-known throughout the Netherlands, where she wrote professionally for more than a decade, collaborating with numerous established theatres after graduating in 2003 from the Amsterdam University of the Arts. 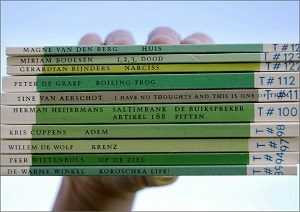 To date, her plays have been published in both Dutch and English, while her work continues to be translated widely, having received productions in Belgium, Holland, Sweden, Denmark and Austria. Resettled now in her hometown of Copenhagen, Miriam writes for both an international and local audience, having returned to her native Danish alongside expanding her repertoire of English-language texts. Stylistically, Miriam’s work ranges decidedly from classic themes to contemporary, using energetic language to challenge the common sense and innocence of human beings. Participation in HIT Lab is still open to interested theatre professionals session-by-session. Application for each intensive will be announced one month prior, with rolling selection until all available spaces are filled. Participation is without charge for those selected, but does require a full commitment to all ten days of the Lab. Write to hitlab@houseofinternationaltheatre.com for further information.